Home News Unbelievable 4 year old girl undergoes surgery for 80 maggots to be removed from her ear in India! Unbelievable 4 year old girl undergoes surgery for 80 maggots to be removed from her ear in India! 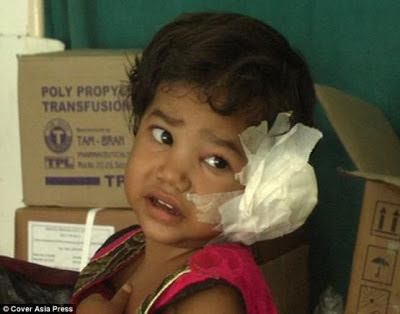 A four year old girl, from central India, Radhika Mandloi was operated on to have 80 maggots removed from her ear which she got from living in dirty condition.